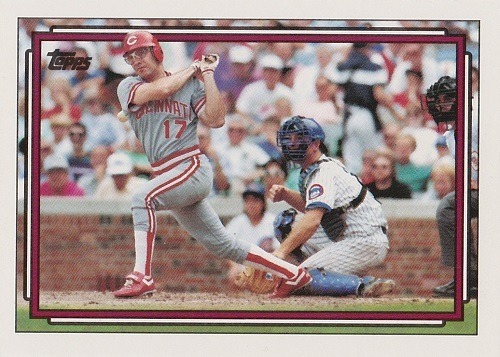 Happy Reds birthday, Paul O’Neill! 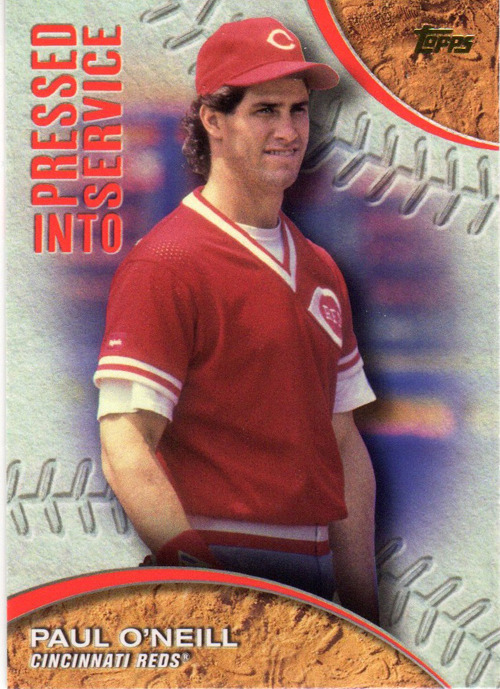 Paul O’Neill won a World Championship and appeared in an All-Star game as a member of the Cincinnati Reds. 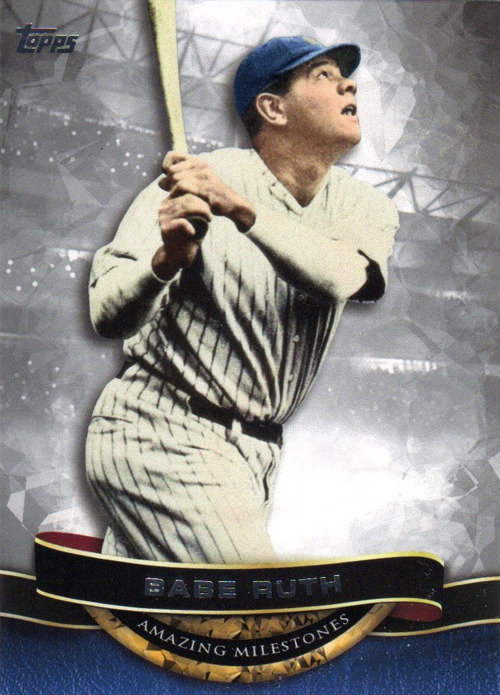 He then won five more World Series and received four more All-Star honors as a member of the Yankees. 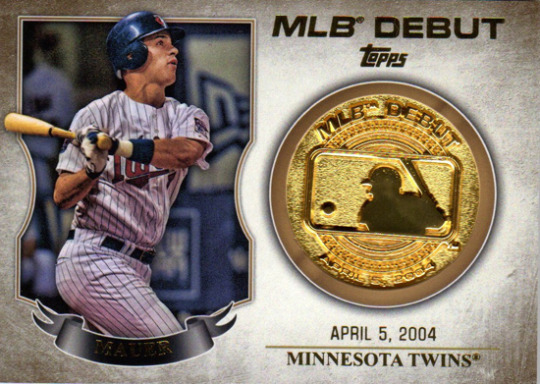 Twelve voters named him on their Hall of Fame ballots in 2007, only 397 votes shy of induction. 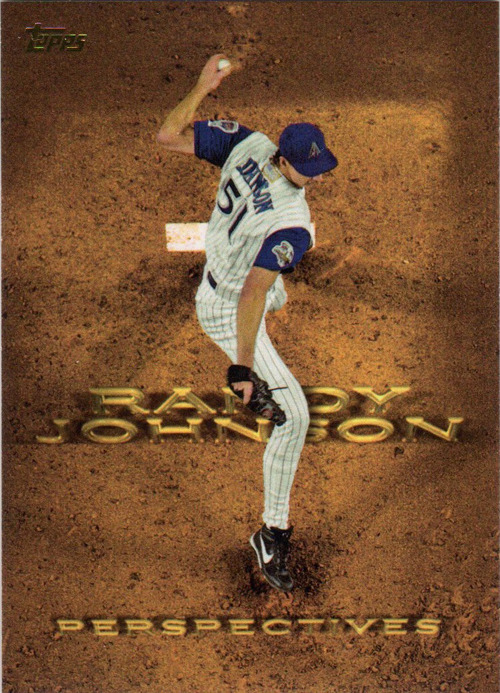 First we have Bronson Arroyo, who promised in December 2011 to retired if he had another dismal campaign like that year. 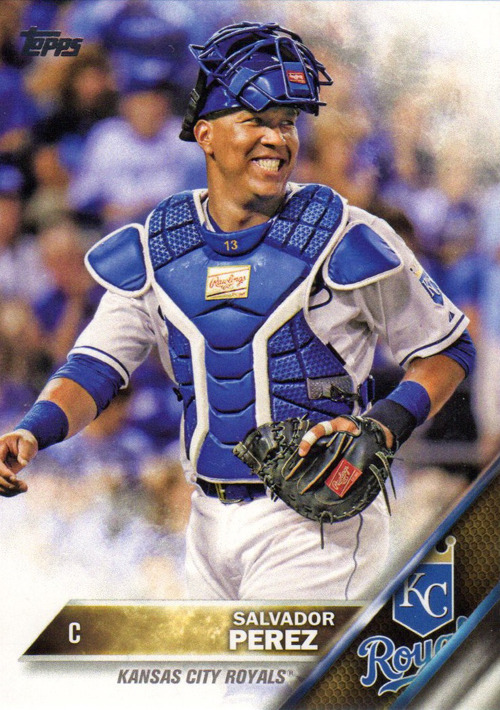 He has certainly improved, but I doubt we will see him in a Cincinnati uniform next season. Perhaps he’ll end up wearing orange and blue? 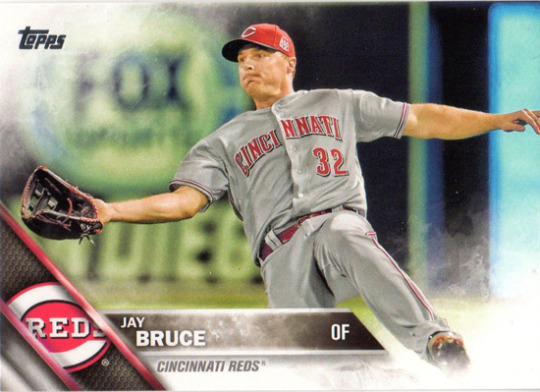 Next is outfielder Jay Bruce, a spectacular player, currently 3rd in the NL in home runs and tied for 5th in RBI. 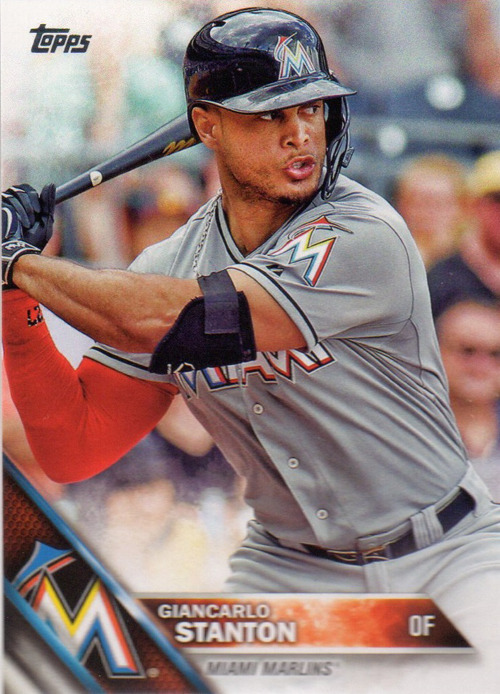 I’m glad he is singed long-term. 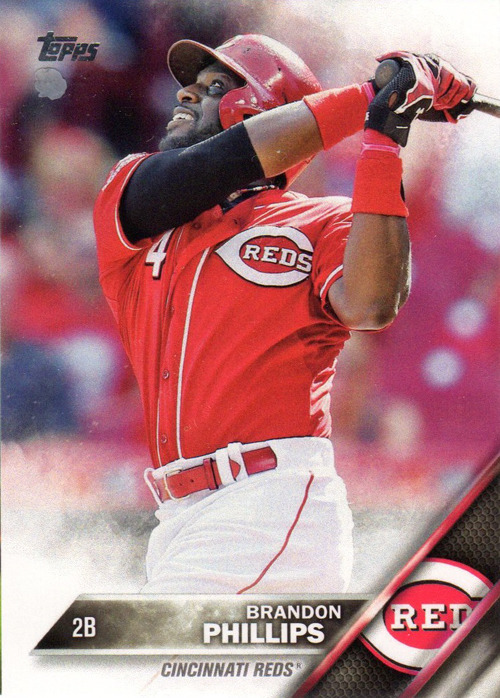 Fireballer Aroldis Chapman was the next to fall out of the package. 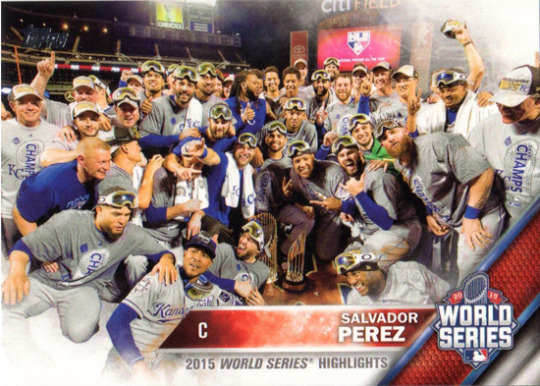 I liked last year’s Triple Play cards, but this year is a bit…meh. 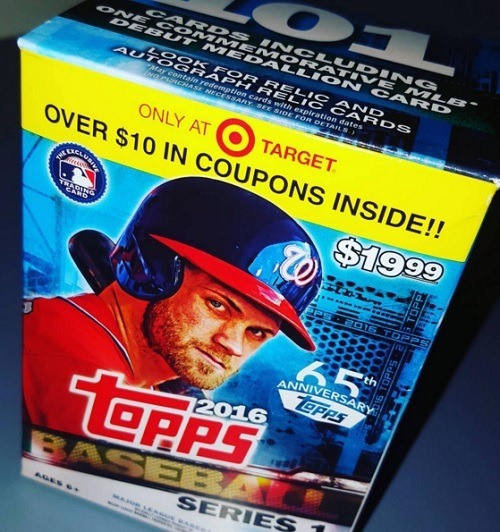 I’m not impressed. 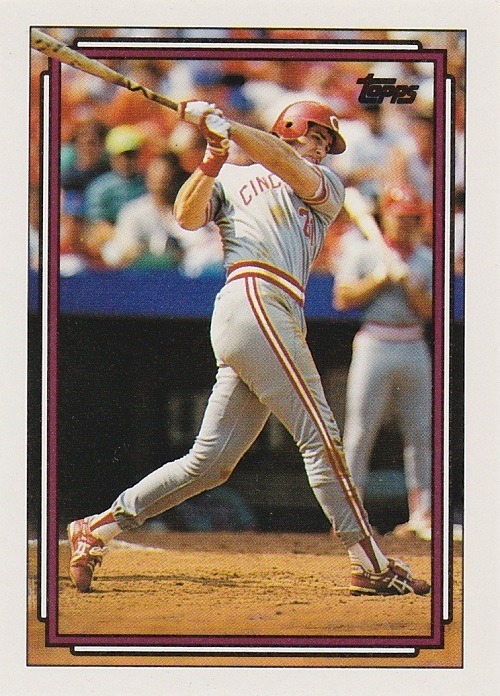 1989 Bowman Paul O’Neill, the final card I needed for the 1989 Bowman Reds set. 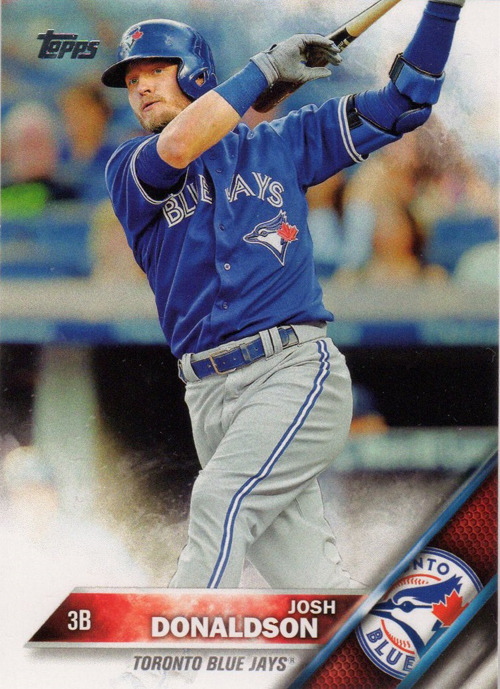 It’s nice to have this card finally, after purchasing a wax box of 1989 Bowman and coming up short a few months ago. 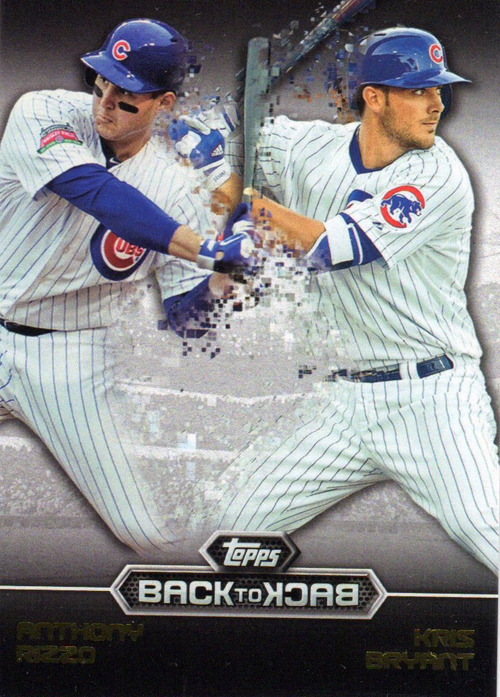 This made me wonder what other sets from the 1980s I’m one card away from completing. That’s just a quick scan of my 1980s Want List. 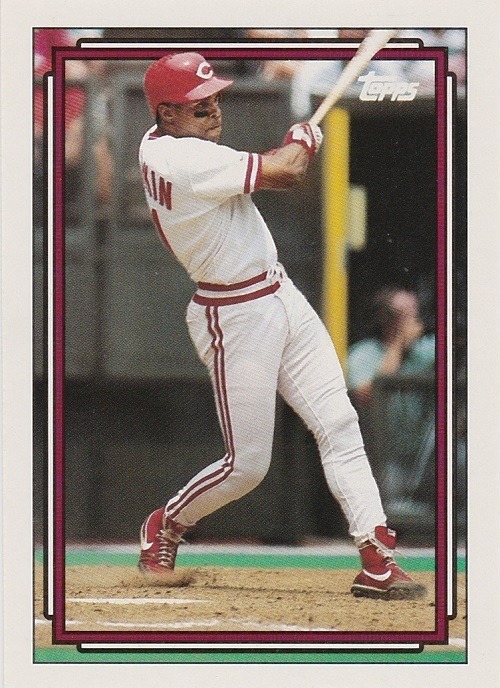 I’m only 2 away from the 1989 Score set (Ron Oester and Jeff Reed are eluding me), and only a few away from several other sets. 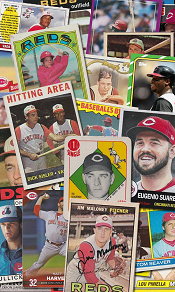 Thanks for helping me complete that 1989 Bowman team set, Greg, and thanks for the 2013 cards too! They’ve all been marked off my want lists! 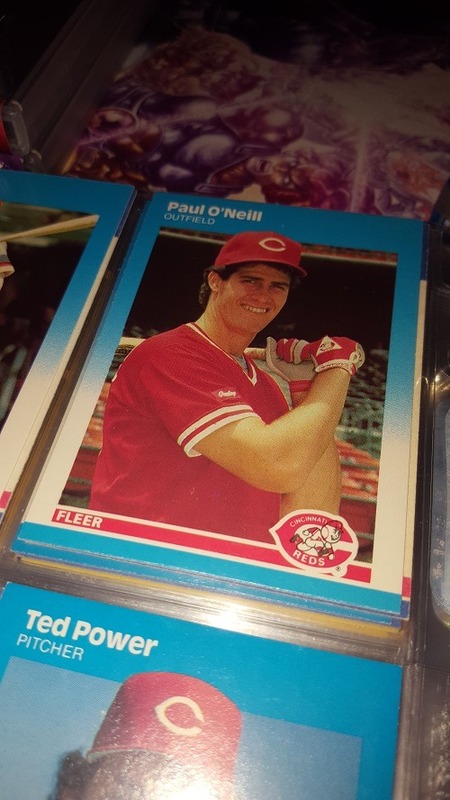 Now pitching for the Cincinnati Reds…Paul O’Neill??? It happened in Atlanta in 1987. 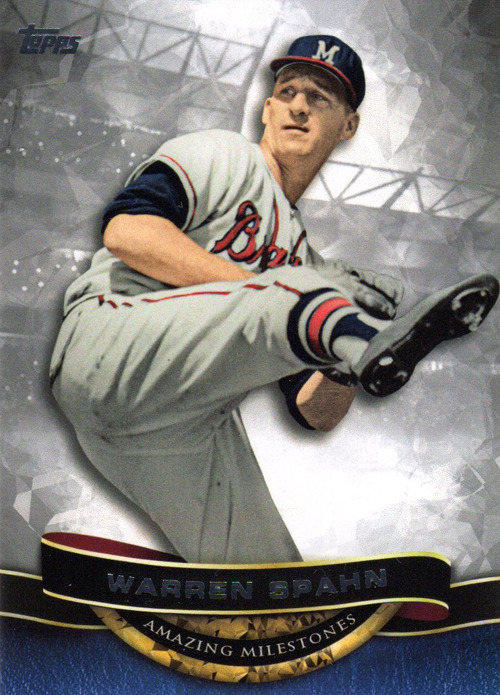 Outfielder Paul O’Neill was called upon to throw two innings against the Braves in a 16-5 loss. 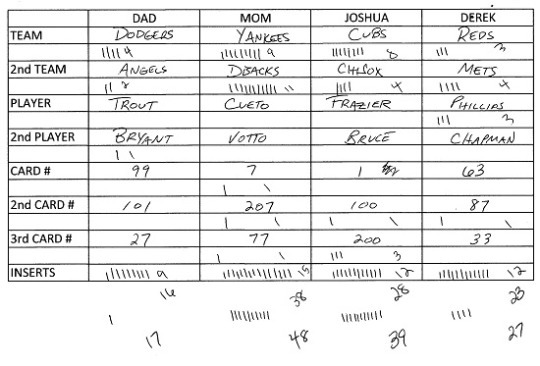 To his credit, O’Neill was only responsible for three of those runs; not too shabby for a non-pitcher. 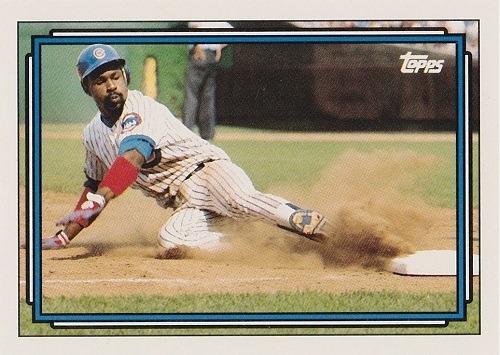 In the bottom of the seventh, Dion James walked, Ken Oberkfell flew out, and Gerald Perry grounded into a double play. 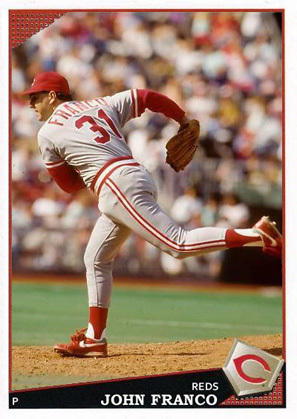 O’Neill didn’t fare quite as well in the bottom of the eighth, giving up a three-run dinger to Ozzie Virgil, but he did strike out Ken Griffey and Jeff Dedmon. You know, if I had seen this interview in 1987, I may have ended up being a Paul O’Neill fan. I always had the impression that he was kind of sour, but he displayed a bit of wit and a sense of humor, almost like he was having fun, during that chat. 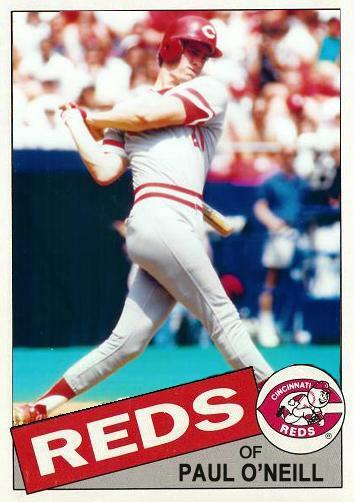 Paul O’Neill appeared in 5 games for the Reds in 1985, collecting 4 hits in 12 at-bats. 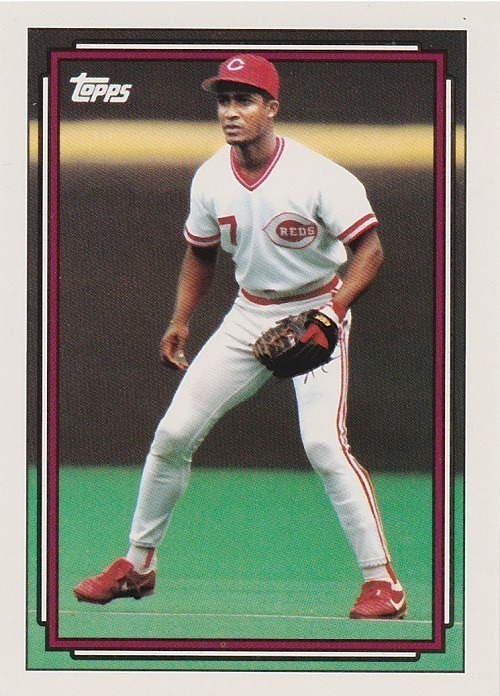 In 1986, Donruss and Fleer both saw fit to include him in their base set. 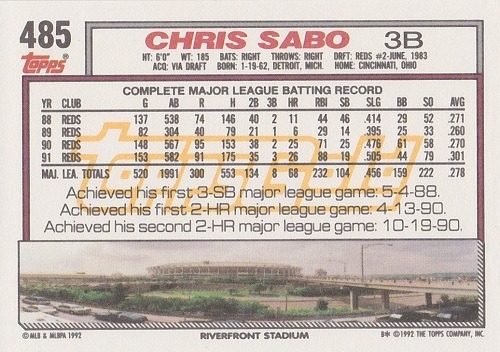 However, he only saw action in 3 games in 1986. 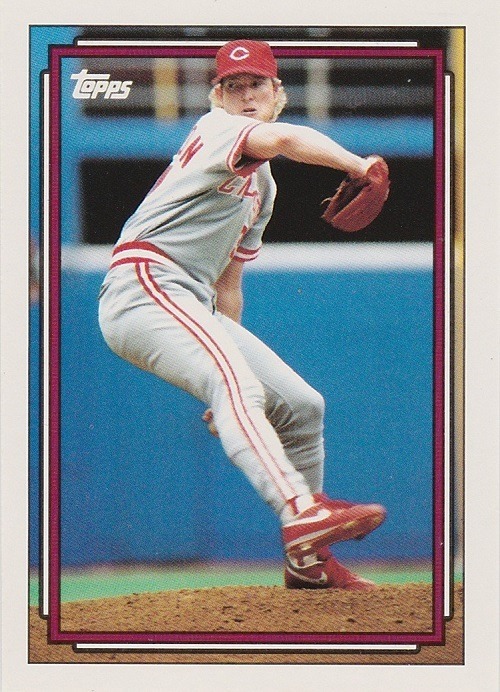 The only card company to include O’Neill in 1987 was Fleer, in their year-end Update set. 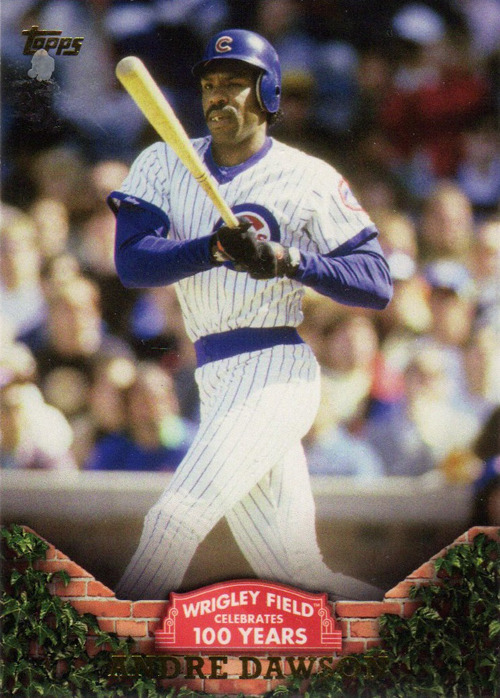 In 1988, he appeared on his first Topps card. 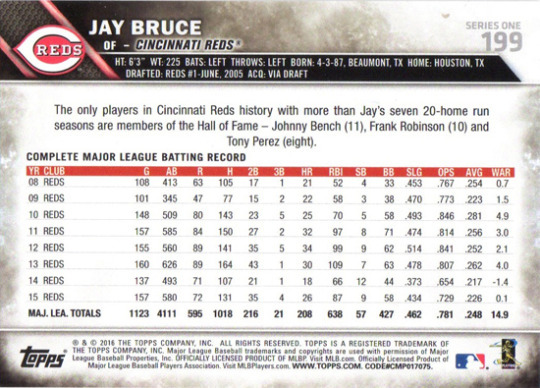 Does anyone else remember when Beckett made those designations in the price guide? RC vs. FDC/FFC/FTC? 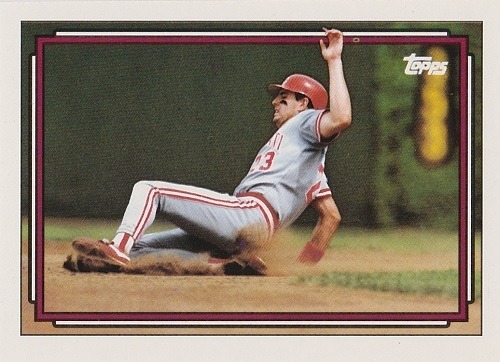 If O’Neill had been included in the 1985 Topps Traded set, that would have been his XRC. 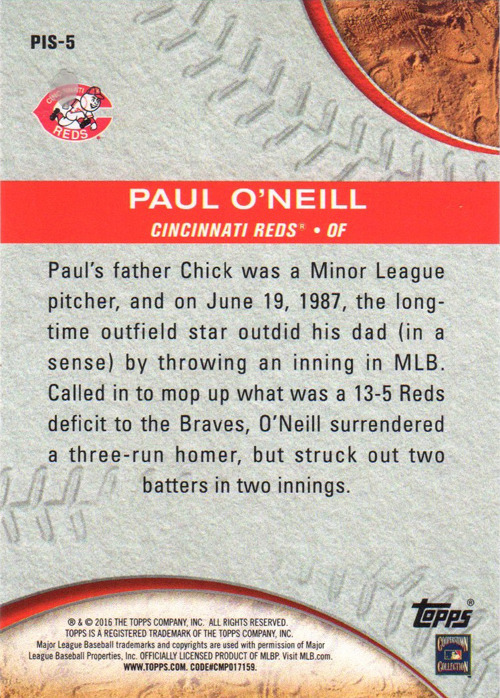 Paul O’Neill (misspelled O’Neil on this card) was a fella I never could like. I’ve been told that he was just quiet, and it came off as arrogance. 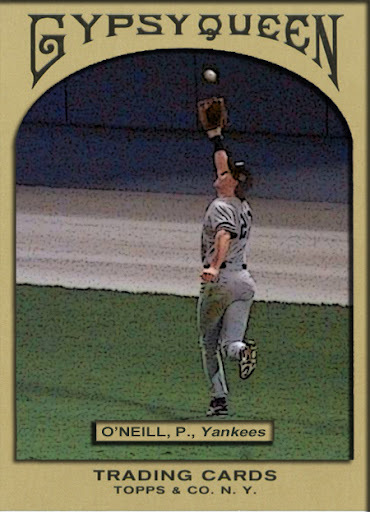 The thing I remember most about O’Neill was that time that he kicked the ball back to the infield (click here, scroll down to 1991 to download the video).